STS-31 was the thirty-fifth mission of the American Space Shuttle program, which launched the Hubble Space Telescope astronomical observatory into Earth orbit. The mission used the Space Shuttle Discovery (the tenth for this orbiter), which lifted off from Launch Complex 39B on 24 April 1990 from Kennedy Space Center, Florida. 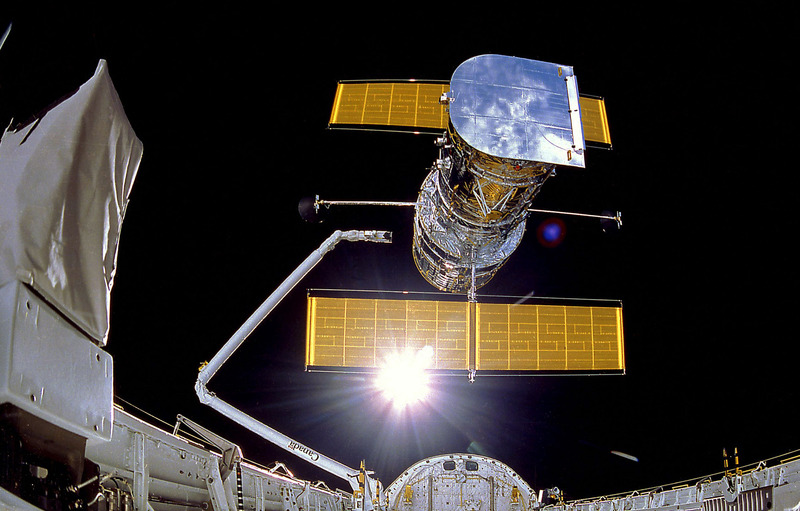 Discovery‘s crew deployed the telescope on 25 April, and spent the rest of the mission tending to various scientific experiments in the shuttle’s payload bay and operating a set ofIMAX cameras to record the mission. Discovery’s launch marked the first time since January 1986 that two Space Shuttles had been on the launch pad at the same time –Discovery on 39B and Columbia on 39A.